Trashportation, coming to an apartment near you. Mowing the lawn has been the go-to money maker for teenagers around the world for years. 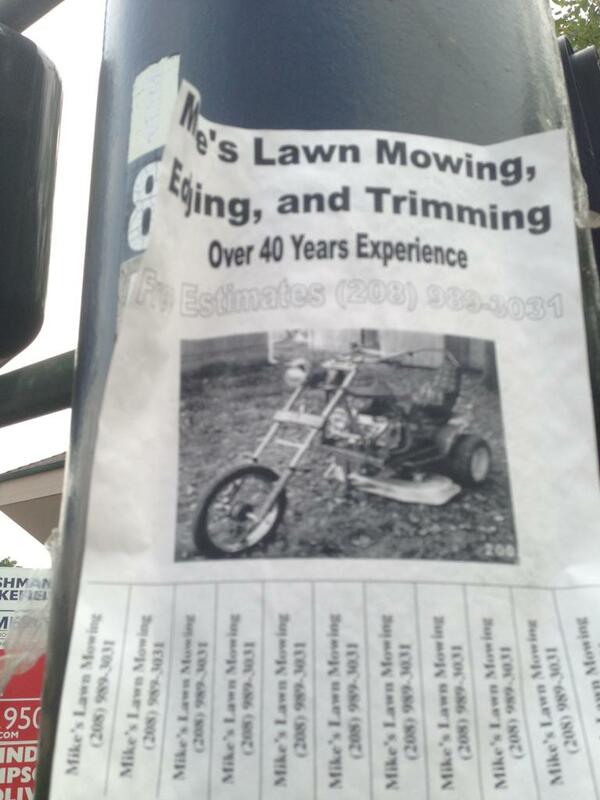 But what if you live in a big city, and there aren't any lawns to mow? 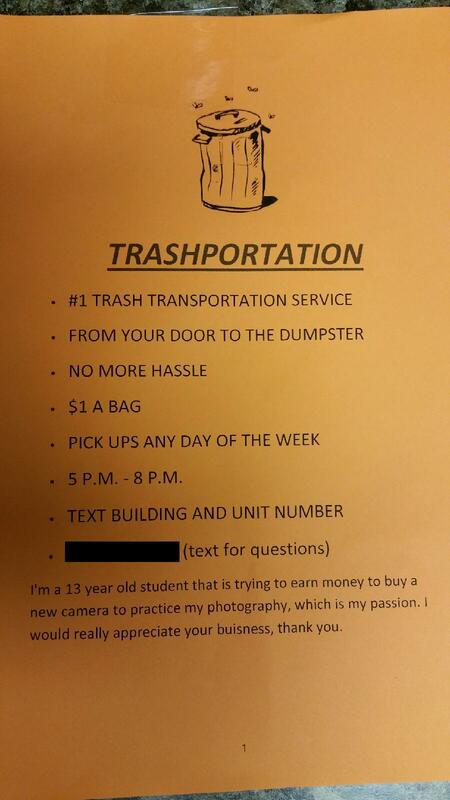 Well, Reddit user SystemObject has uploaded this photo of a flier posted inside his apartment building. Here's to you, kid. Continue in your innovation.